Academy award winner Matt Damon is on the run again as Jason Bourne, the former CIA trained assassin, in this smart and suspenseful action-thriller. Suffering from amnesia, Bourne has left his violent past behind and is living a normal life with girlfriend Marie. But his plans for a peaceful life are crushed when he narrowly escapes an assassination attempt. 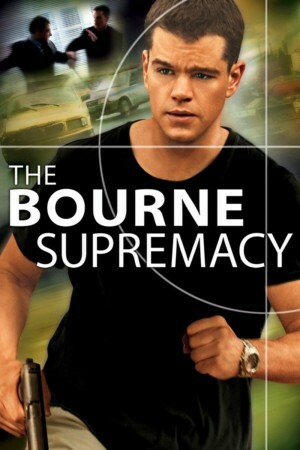 Now hunted by an unknown enemy, Bourne proves to be neither an easy target nor a person whose skill, determination and resilience can be underestimated. Gritty and edgy, with knockout car chases, Bourne Supremacy is one of the most intelligent and breathless action-packed thrillers of the last few years.